Measures 3.75" SQ. X 35.25"H, with a 3.75" x 9.375" block-end, allowing you to attach to an apron or shelf. 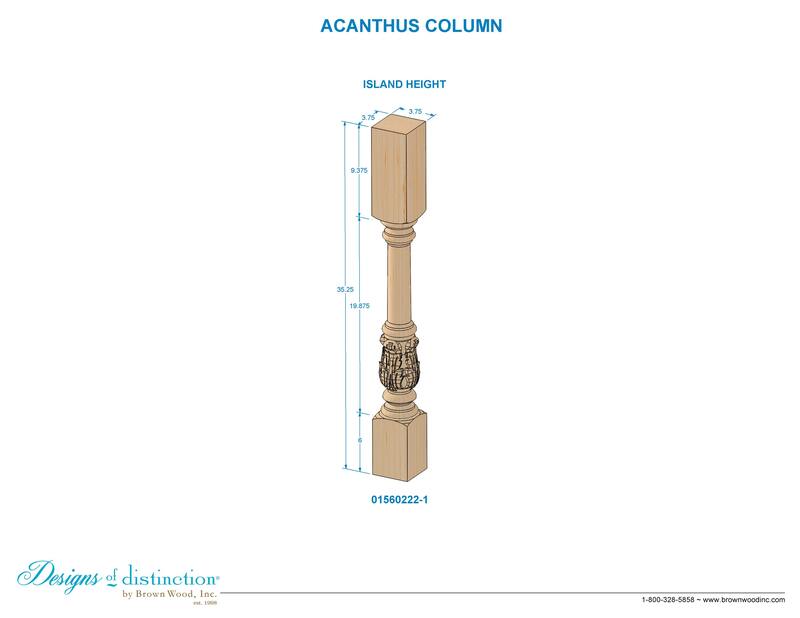 Modify the length, look, and application of your Acanthus Column by choosing one or more Add-Ons below. Carved ornamental scrolling leaves are a feature of the elegant French Acanthus Collection. The Acanthus Column — available in island height and large diameter — reflects classic Roman architectural style, with beautiful urn leaf carving detail. Can be trimmed up to .75" for uneven floors and still fit standard cabinets. Matching components available in the Acanthus Collection.